Roosevelt was born with deformed front paws, but that has never stopped him from living his best life. 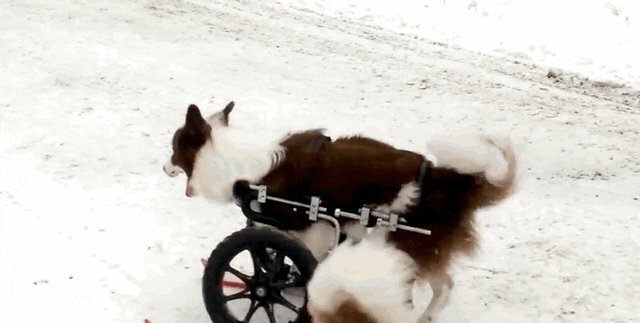 After being rescued by New England Border Collie Rescue and adopted in 2010, he was fitted for a wheelchair. Suddenly, he had the ability to do anything ... and the rest is history. On New Years Eve, Roosevelt showed off just how far he's come by going out with his mom and siblings - and going skiing. That's right. 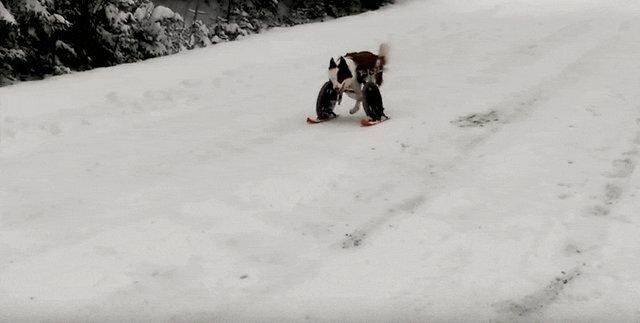 Roosevelt the disabled border collie is actually more able than ever. When he's on skis he's basically unstoppable. And it seems his doggie siblings are pretty jealous of his insane skiing skills. It just goes to show that being a little different never has to get in the way of how far someone can go. Go, Roosevelt! Follow Roosevelt on Facebook for more of his awesome adventures.